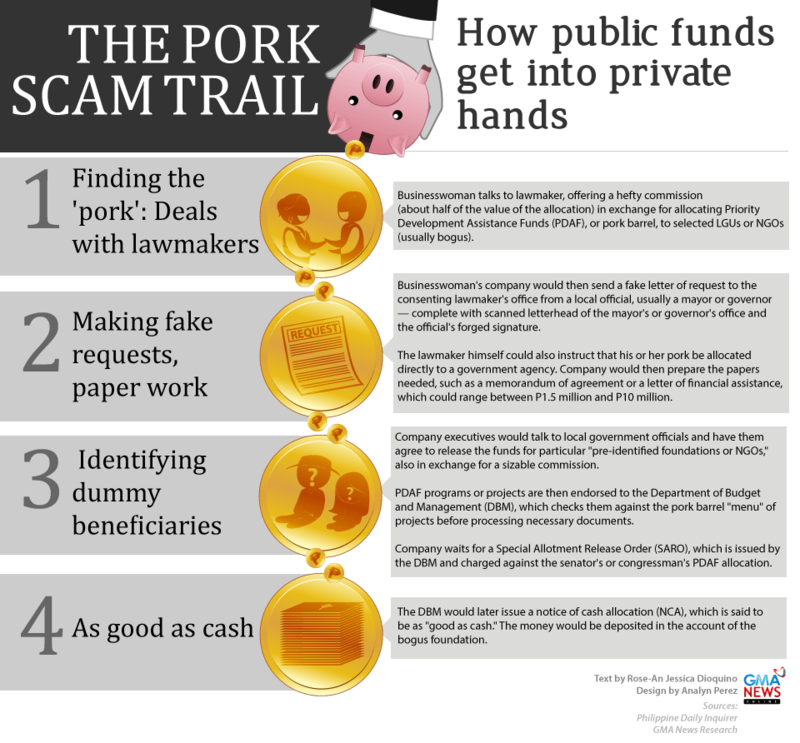 MANILA, Philippines – Senators pocketed half of the funds allocated for every project arranged by businesswoman Janet Lim-Napoles, a whistle-blower in the pork barrel scam told a Senate panel yesterday. In his first public appearance, Benhur Luy detailed how lawmakers had conspired with Napoles in skimming billions of pesos from their congressional Priority Development Assistance Fund (PDAF) by allowing bogus non-government organizations or foundations identified with the businesswoman to serve as project conduits. Luy said the senators would receive at least half of their share in advance – or even before the Department of Budget and Management (DBM) released their special allotment release orders or SARO – from Napoles’ own pocket. Of the other half, 10 percent allegedly went to implementing agencies and the rest to Napoles. Luy said he did not see any of the senators suspected of involvement in the pork barrel scam personally receive money from Napoles. He said the lawmakers would normally send their staff to pick up the money. Luy said the legislators would call up Napoles to tell her of their submission of listed projects. 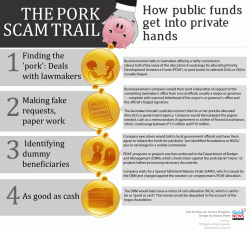 Napoles and her people would then check the “menu” of the DBM for projects and programs that may be funded by the PDAF, including the government agencies that may implement the projects.